Herb gardening is the easiest form of gardening that you can easily start in your own backyard or indoors. Herbs are plants that doesn’t need too much sunshine, needs small amount of soil, water and fertilizer, and these herbs can grow fast and healthy lifestyle starts. Prepare all you gardening needs. Containers, soil, garden tools and seeds. Prepare the soil. You need a garden fork to loosen the soil. This allows to drain the water and create space for the roots. Add compost to your soil. In an inch or on top, scatter the compost and mix well with the soil. For planting herbs, you need to allow for at least 8″ in diameter for each plant. This may allow you to transfer them in a bigger or new container if you want to. Design how you will plant the herbs if you will use a container box. Remember that herbs grow in differents heights. Rosemary, sage, mints, oregano and marjoram can grow up to 3-4 feet. Basils, thyme, tarragon and savory 2 feet. And cilantro, chives, and parsley grow 1 foot. So you need to choose the right container/pots for your plant. Plant the seeds of your desired herb. And then take care of them, water them regularly so not to become dry. Do not over-water the herbs. Over-watering of plants may lead to disease or poor growing condition. Place them where they can receive the exact sunshine they need. Then wait if they are now ready to be harvest. For neophyte gardeners, remember that in harvesting, you only need to cut off a third of the branch if it reaches its maximum height. By doing this, your herb can regrow faster. Once you see that branches of your plant become old and yellow, you need to completely remove this so that new and healthy branches will have a space to grow. Gardening is a fun time for relaxation. 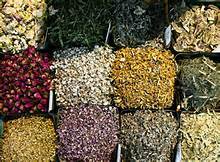 Herbs are one of the super foods today. 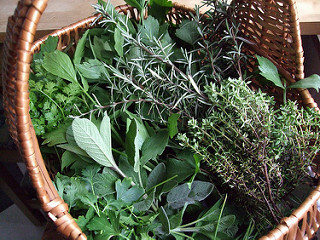 So why not try to start your own herb garden and see if you got the green thumb for a healthier lifestyle.